England moved back top of the Six Nations table with a 44-8 annihilation of France at Twickenham, wing Jonny May scoring half of their six tries on Sunday. That impressive performance followed a win over reigning champions Ireland in Dublin in England's opening game of the tournament, but Jones is mindful that another stern test awaits in the Welsh capital on February 23. A much-changed Wales outfit equalled the longest winning run in their Test history with their 11th straight success over Italy in Rome on Saturday and Jones acknowledged England must not let their standards slip. "There's a lot more in this team and we understand that and we're committed to being the very best we can be," Jones said at a news conference. 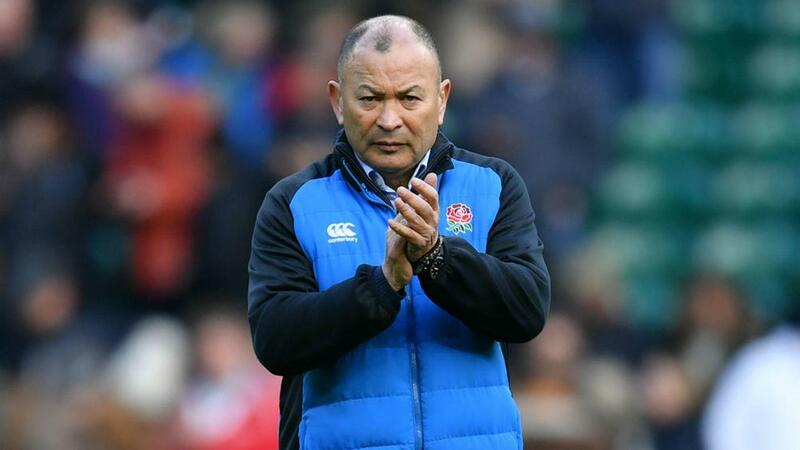 "Jonny May's like when you go to the park and you see someone with a tennis ball and they throw it, the dog runs 100mph and chases it and brings it back - he does that pretty well," Jones added.